Dr. Kreisman is board certified in Psychiatry and is an Associate Clinical Professor in the Department of Neurology & Psychiatry at St. Louis University. He is past president of the Missouri Psychiatric Association, and has been designated a Distinguished Life Fellow of the American Psychiatric Association. 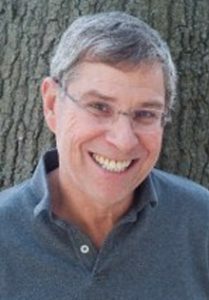 Dr. Kreisman also pursues independent research interests, and has published over twenty articles and book chapters. His book, I Hate You, Don’t Leave Me: Understanding The Borderline Personality, is the largest selling book on borderline personality in the world, and was the first to clarify the disorder for both professional and non-professional audiences. His second book, Sometimes I Act Crazy: Living With Borderline Personality Disorder, expanded on case histories and described strategies for addressing each defining criterion for BPD. Both books have been translated into several languages around the world.